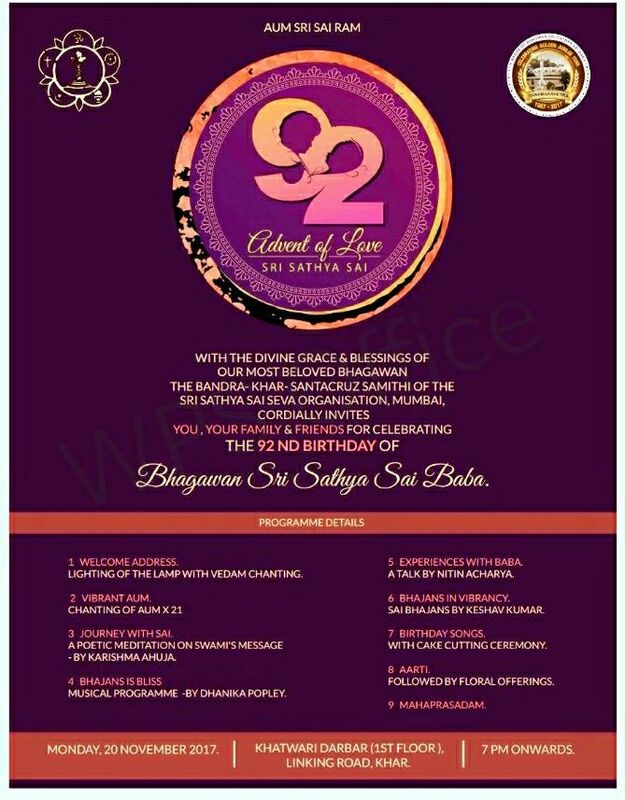 92nd Birthday Celebrations of Bhagawan Sri Sathya Sai Baba & Golden Jubilee Celebrations of Dharmakshetra. 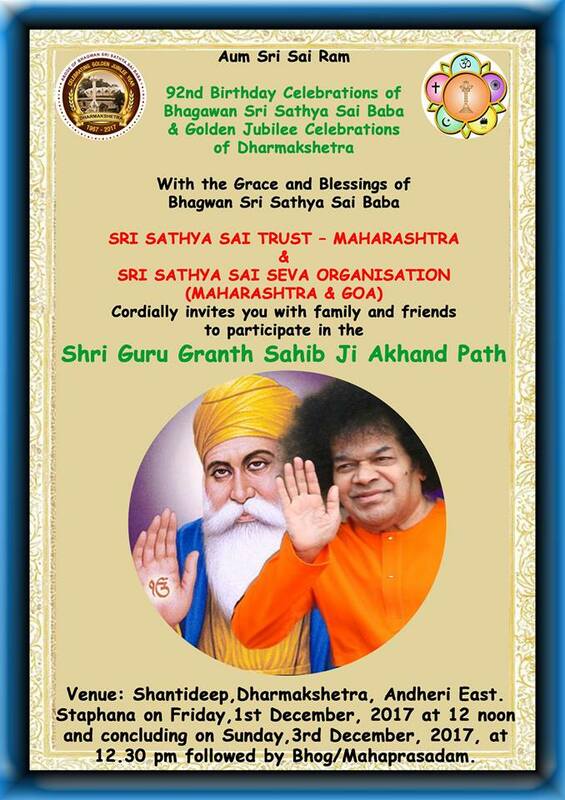 With the Grace and Blessings of Bhagwan Sri Sathya Sai Baba, SRI SATHYA SAI TRUST – MAHARASHTRA & SRI SATHYA SAI SEVA ORGANISATION (MAHARASHTRA & GOA) cordially invites you with family and friends to participate in the Shri Guru Granth Sahib Ji Akhand Path . Staphana on Friday, 1st December, 2017 at 12 noon and concluding on Sunday, 3rd December, 2017, at 12.30 pm followed by Bhog/Mahaprasadam. 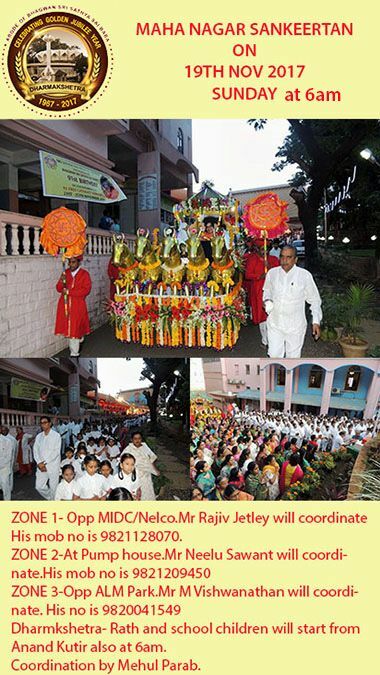 The Rath Yatra began from General Education Academy School and proceeded towards Ahobila Mutt at Diamond Garden, accompanied by people singing Bhajans. Lezim and welcome dance in the rath yatra. On the auspicious occasion of our beloved Swami's 92nd birthday, Chembur Samithi organised a grand Rath Yatra on Sunday, 26th November, 2017 from 8 am to 9.30 am. The Rath Yatra started from General Education Academy School at 8 AM and proceeded to Ahobila Mutt at Diamond Garden, accompanied by devotees and balvikas children singing Bhajans. The Balvikas children also performed at various spots along the way. The Rath Yatra culminated at Shanti Krupa premises with Bhajans and Aarti followed by Mahaprasad for everyone. Who says Sai Baba is not there? He is in us and around us and that was aptly proved in Birthday Celebrations held on Nov 23, 2017 from 10.30am to 12 noon at Refuge Area of Dheeraj Hillview Tower, Siddharth Nagar, Borivali East. In the presence of about 150 persons out of which 62 percent were non devotees. A ball of light( like a full moon) was seen in the chest area of Bhagwan's photo kept in well decorated altar. The light disappeared only after about 1 hour from the time program was over. All those who attended the program were so much charged that their happiness were over flowing. We will be LIVE STREAMING the "Samarpan" program, the mega Live Band event which will be perfomed at Dharmakshetra today i.e. 26th Nov from 6 pm - 9 pm. As the day for the big bang 32nd edition of Samarpan program arrives, let us meet the Trumpets, Trombones & Purcussion team of the Rhythmic Energy Band Group who will be performing this evening at Sathya Deep lawns at Dharmakshetra. 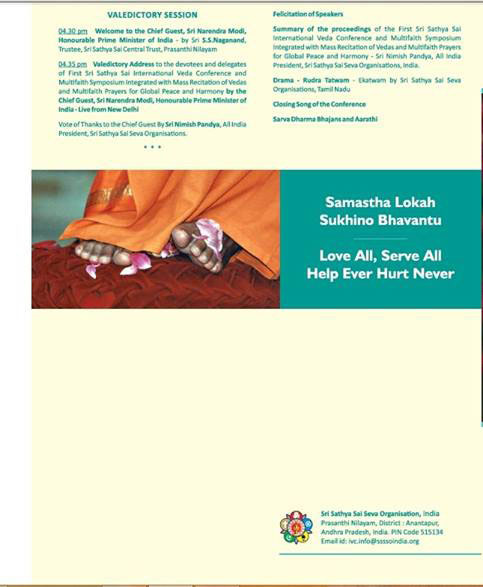 All of you are cordially invited for a blissful evening with Swami at His residence. Ver 4.0 of our state website at 6pm today < p> < p> < p> < p> (26/11/2017)<><><><> at Dharmakshetra. We are all set for release of ver 4.0 of our state website at 6pm today at Dharmakshetra. 2. UI features- animation in picture and video gallery and others. We are good to release our admin module ver3.0 also. 1. Add new admin user and generate id & password. 3. Allocate user access- samithis, districts etc. Let us all pray for success in today's evening programme. 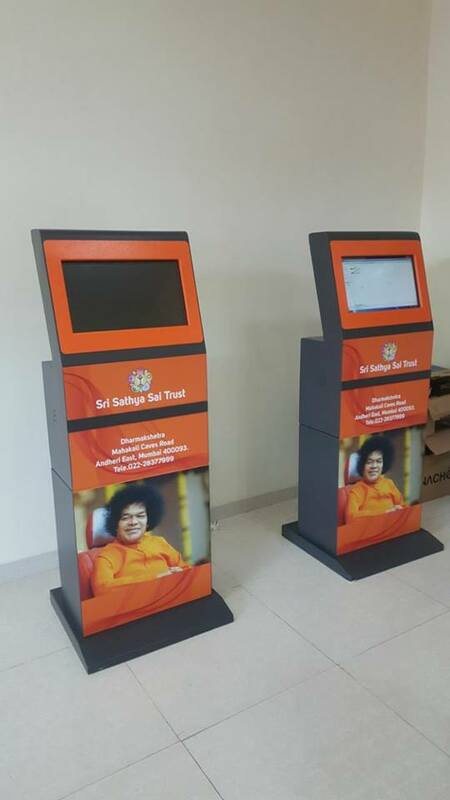 We are also inaugurating information kiosk at Dharmakshetra today! 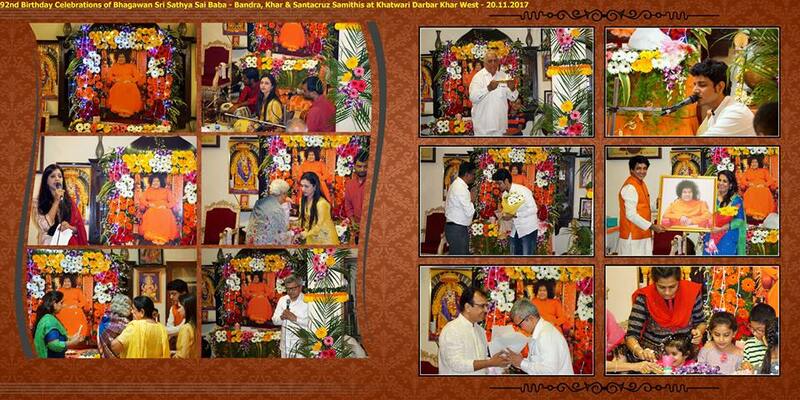 Images of Nargarsankirtan, Bhajan, Birthday Cake Cutting & Fireworks on Bhagwan Baba's 92nd Birthday Celebrations on 23 Nov 2017 morning - by Worli Sai Samithi. 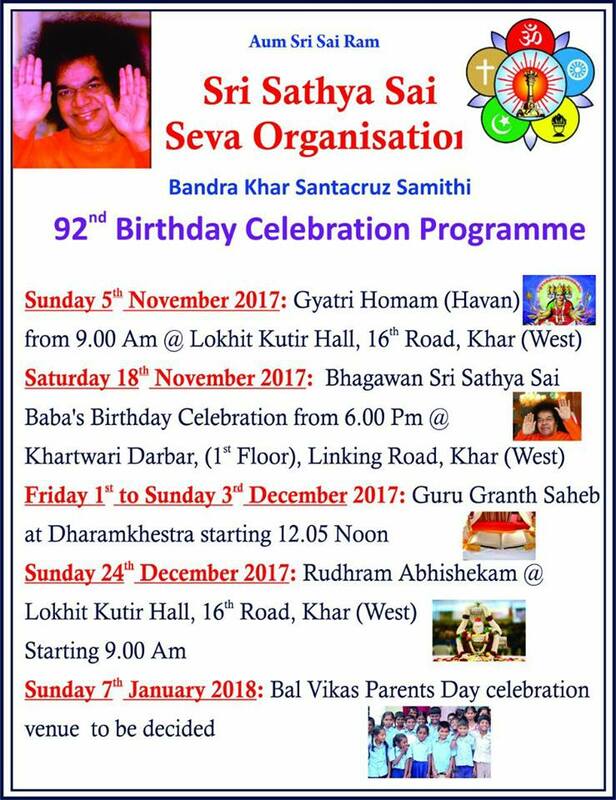 92nd Birthday Celebrations - Dharmakshetra 23rd November 2017 - Evening Programme. 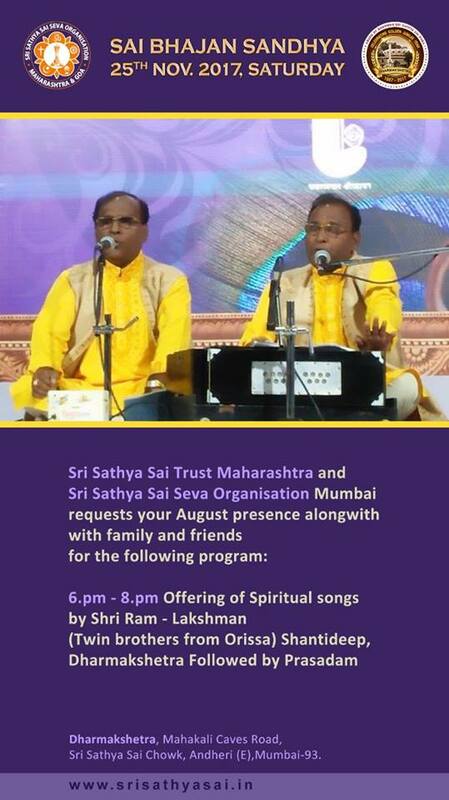 We are delighted to share with you that our venue for 26th November Samarpan program would be the blessed *Sathya Deep lawns* next to Swami's residence at Dharmakshetra! For those who may not know, these are highly blessed lawns where our Beloved Swami used to sit and enjoy devotional songs and music with selected audience whenever he visits Mumbai. For the first time, Swami is blessing us with an opportunity to open up these lawns for all of us to have our *Rhythmic Energy Band Concert by Swami's Band Boys* where 1100+ people can be in attendance on these blessed lawns, a rare privilege indeed! One can visualise the November cool breeze flowing through and bringing the Divine fragrance to all of us on a blessed twilight! It is worth a visit and be a part of this historic event than waiting to watch the YouTube link subsequently! So don't miss this opportunity. 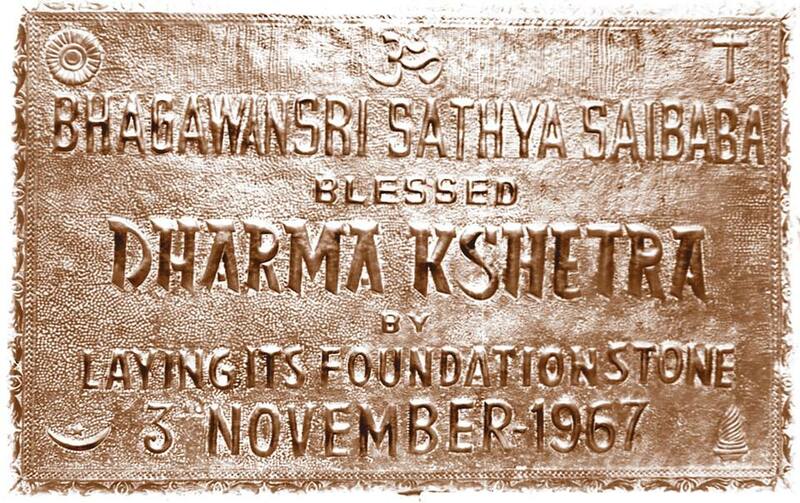 Let us join together on Sunday, the *26th November @ 6 pm* and enjoy Swami's Divine Presence together on this auspicious occasion of Golden Jubilee celebrations of our very own Dharmakshetra!! 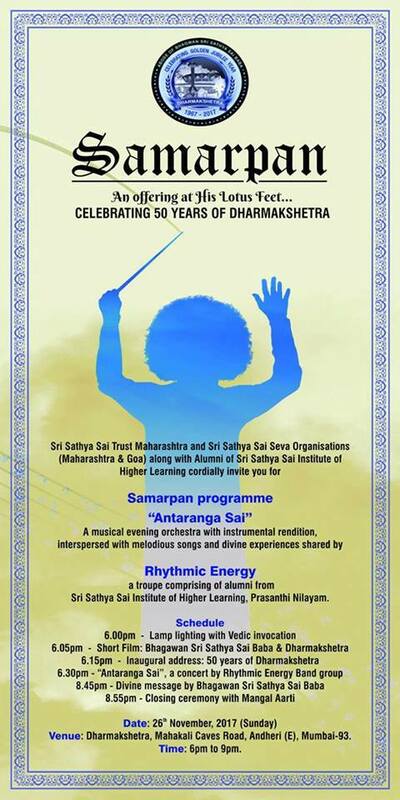 Initially this program was intended to be held in the Ravindra Natya Mandir at Prabhadevi. 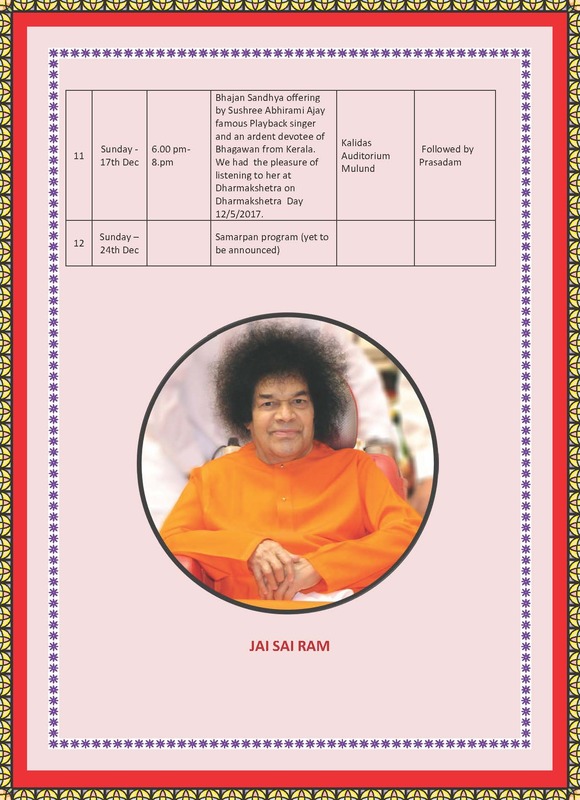 Please note that the program will now be held in the Divine Precincts of Dharmakshetra, the abode of Sri Sathya Sai Baba ,celebrating the Golden Jubilee. 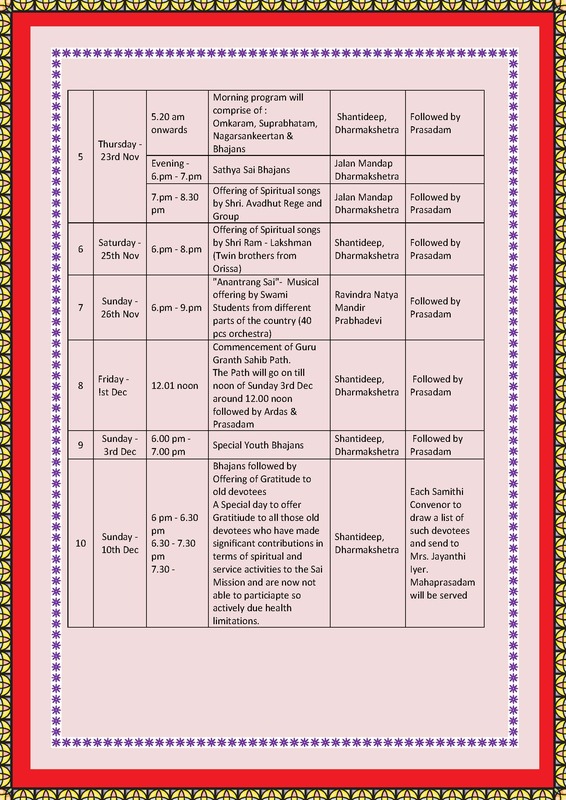 Please inform the change to everyone and invite all near and dear ones to enjoy this special session of Samarpan. The e-invite is enclosed herewith. 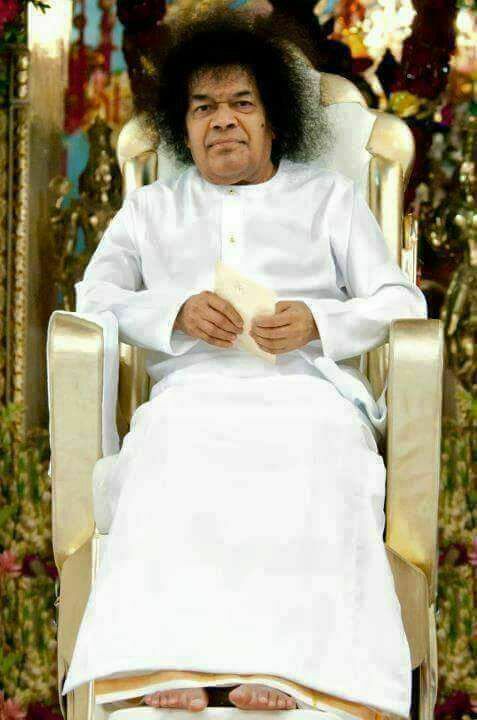 The Sri Sathya Sai Bal Vikas Alumni who have successfully completed the Sri Sathya Sai Bal Vikas Course are an asset to humanity and it is our endevour to synergise their spiritual power by getting them on one platform immediately. It is in this direction that we have created an online registration platform for them to register themselves from anywhere in the world. Please use all your efforts to spread this link at all samithis,by using social media, circulars, announcements, emails, posters etc immediately. I request the mahila sisters to take this up on priority along with all gents. To my mind this is a tremendous seva. "Transforming Self to Transform the World"
The Alandi medical camp conducted by SSSSO Maharashtra and Goa just concluded today. Over 11169 patients approximately were treated. 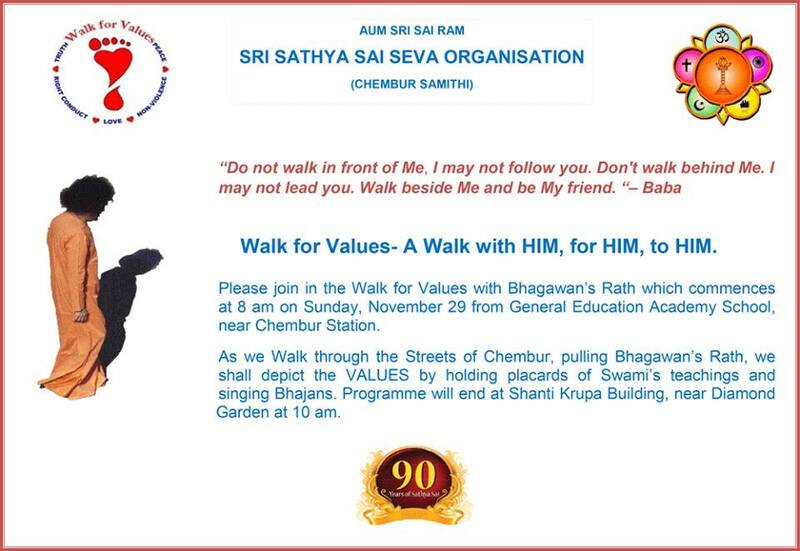 As part of the 90th Birthday celebrations of our Dear Lord, Chembur Samithi will be having a mass rally on 29th November 2015 with Rath Yatra carrying Swami’s Photo in a beautifully decorated Rath. This rally will commence at 8 am from General Education Academy School (GEA) near Chembur Station and would briefly halt in front of Ahobila Mutt temple and end at Shanti Krupa building premises near Diamond Garden at around 10 am. Birthday Celebrations at Khatwari Darbar, 1st Floor, Linking Road, Khar West, Mumbai. All are cordially invited with family and friends. 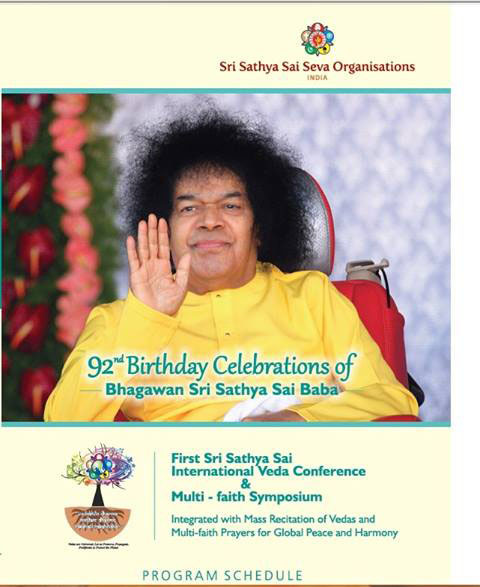 Come and join us in singing the glory of our Lord and Master, Bhagawan Sri Sathya Sai Baba. 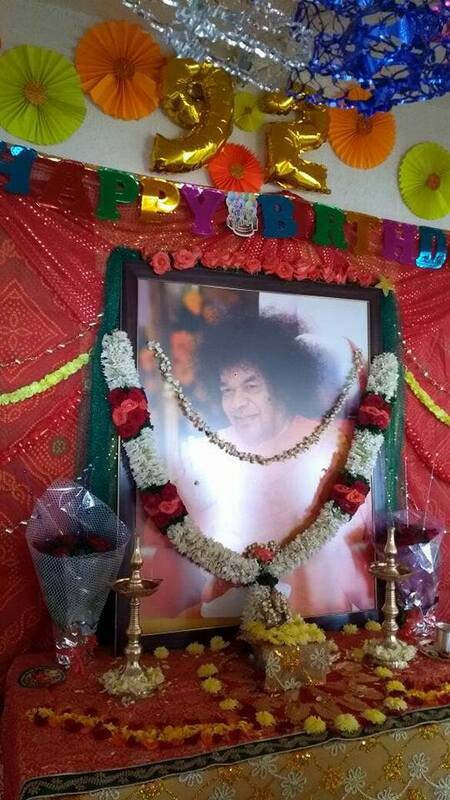 Birthday Celebrations of Bhagwan Sri Sathya Sai Baba 23rd November 2017. 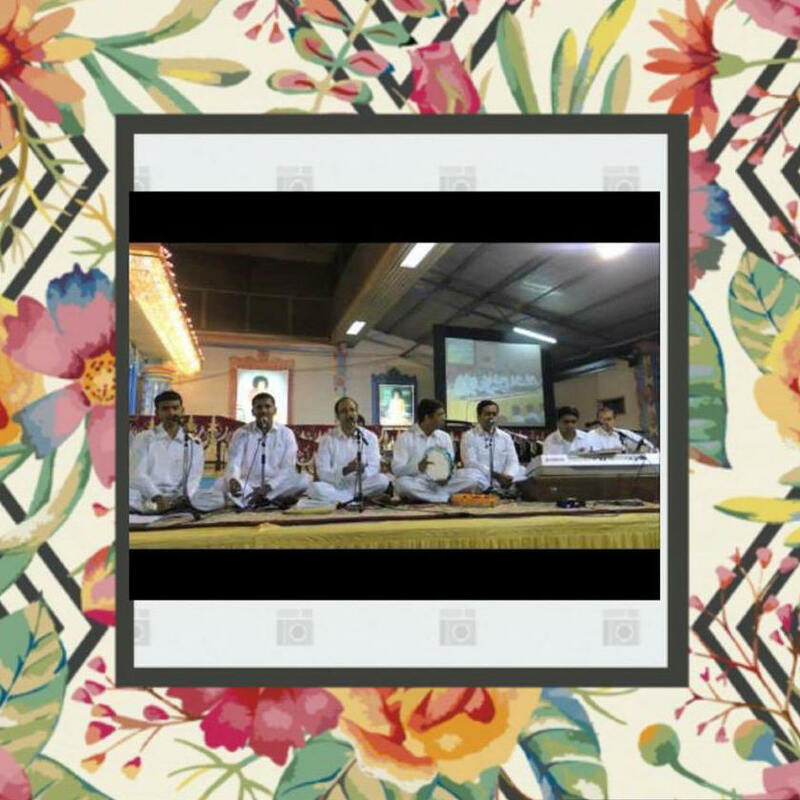 Sai Bhajan Sandhya 25th Novenber 2017 at Dharmakshetra. Puttaparthi is already buzzing with thousands of devotees reaching the holy abode from every nook and corner of the world. 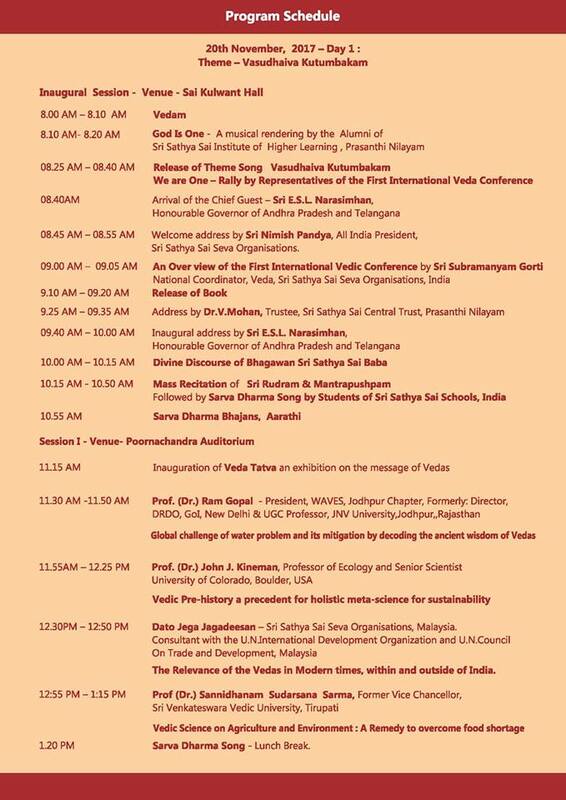 This 92nd Birthday celebrations will be Historic in many ways and the foremost one will be the First ever International Veda Conference which will be starting on November 20th. 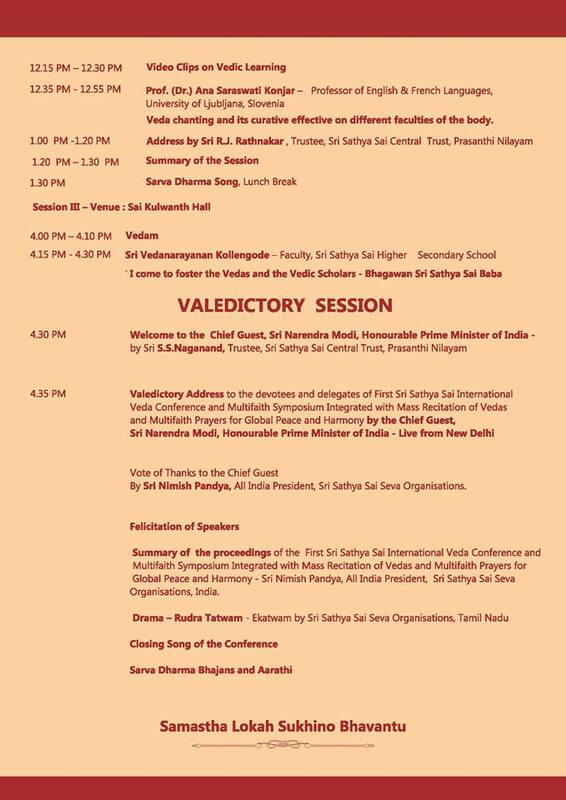 In the valedictory function, on November 21st, around 4:30 PM Indian Standard Time, Honourable Prime Minister of India, Sri. Narendra Modi will be going LIVE from New Delhi addressing the gathering seated in Sai Kulwanth Hall. 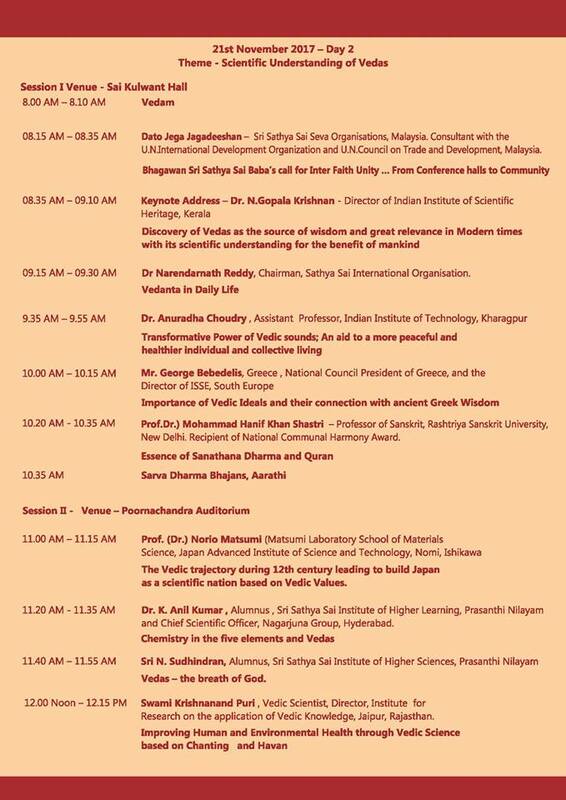 Hatsoff to the SSSSOI team who designed the programme of the International Veda Conference as it is perfectly balanced to the theme VASUDAIVA KUTUMBAKAM (the world is one family) covering talks by eminent religious heads of all major religions in the world. 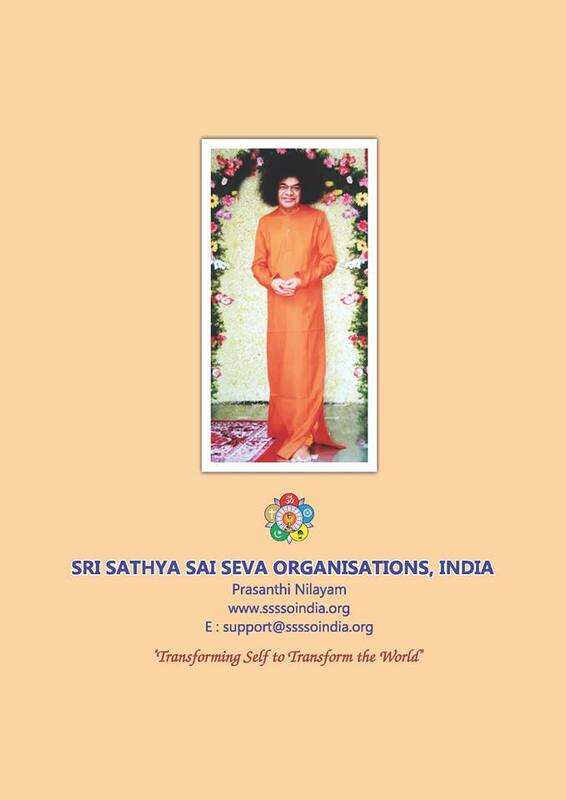 With the Divine Grace of Bhagawan Sri Sathya Sai Baba, the programme of the conference is finalised and I am sharing the same with you for you to in turn share the same with all in your states. The Hon'ble Prime Minister, Shri Narendra Modi has graciously agreed to give the Validictory message live from New Delhi as mentioned in the programme. 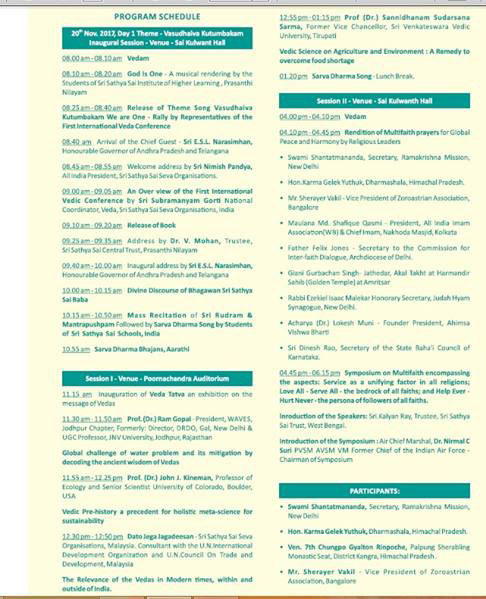 The Inaugural Message will be given by the Hon'ble Governor of Andhra Pradesh and Telangana Shri Narsimhan. Please share this with all. Please note that all delegates who come from the states for the conference can stay till Birthday and no one is required to vacate the sheds after the conference. Dharmakshetra - An architectural breathtaking Beauty Beyond Compare. This architectural breathtaking beauty which was built in exactly 108 days stands magnificently over a hillock and it serves as a reminder for mankind to embark upon the path of Righteous Conduct. 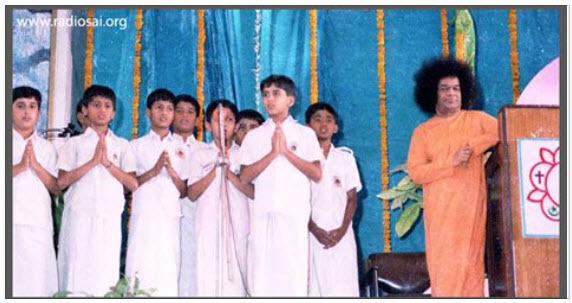 Dharmakshetra symbolizes the core message of Bhagawan to mankind, i.e to embark upon Dharma. Dharmakshethra, sometimes called Sathyam, is one of three special spiritual centres established by Bhagawan Sri Sathya Sai Baba, the others being Sivam in Hyderabad and Sundaram in Madras. These three spiritual centres are visible manifestation of his mission to revive spiritual India. Sathyam, Sivam, and Sundaram are the attributes of Divinity within and without. Dharmakshetra translates to the human body, which is kshethra, (the place) where Dharma (right conduct) occurs. 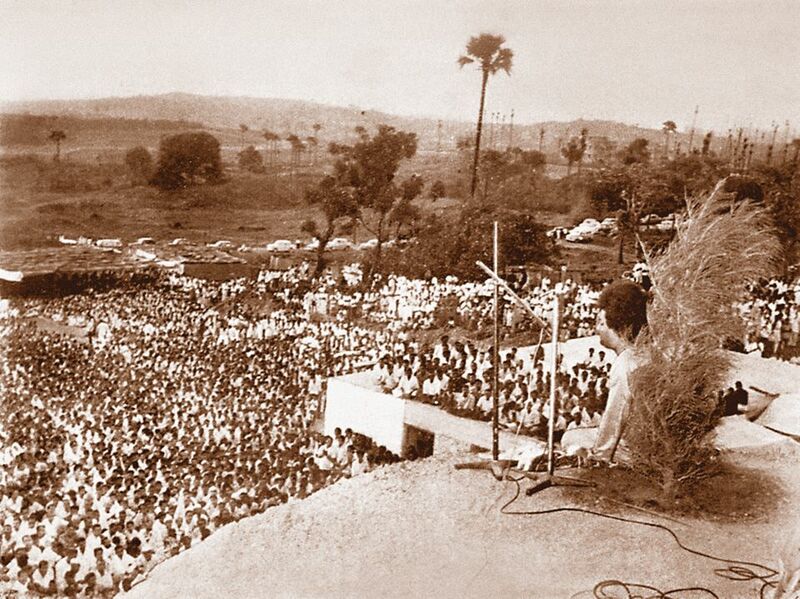 Over the decades since its existence Dharmakshetra has been by now witnessed to innumerable miracles of Bhagawan Baba. Bhagawan Baba has often described Mumbai as the stomach of India. Prime needs of the body has to be met before the aspirations of the soul becomes overpowering. 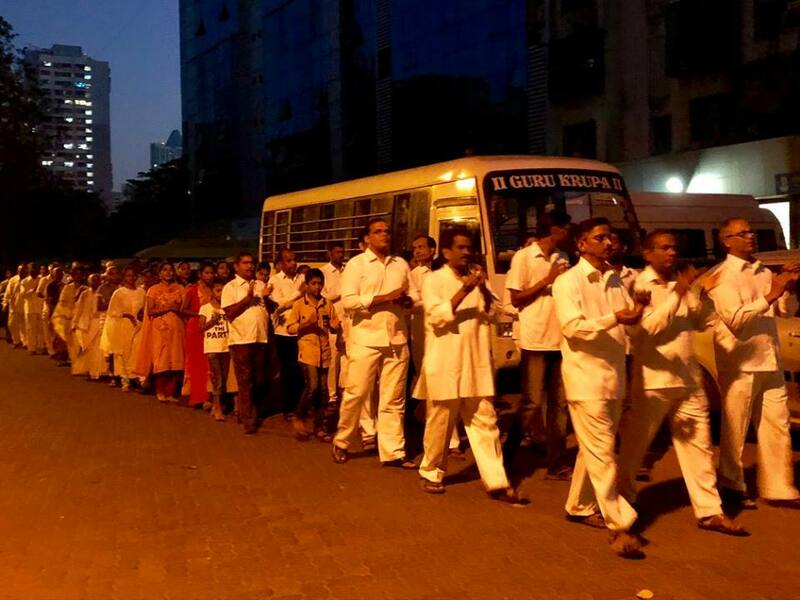 'Rudam' chanting during Ekadasha Rudram on 5 Nov. 2017 by Worli Sai Samithi. 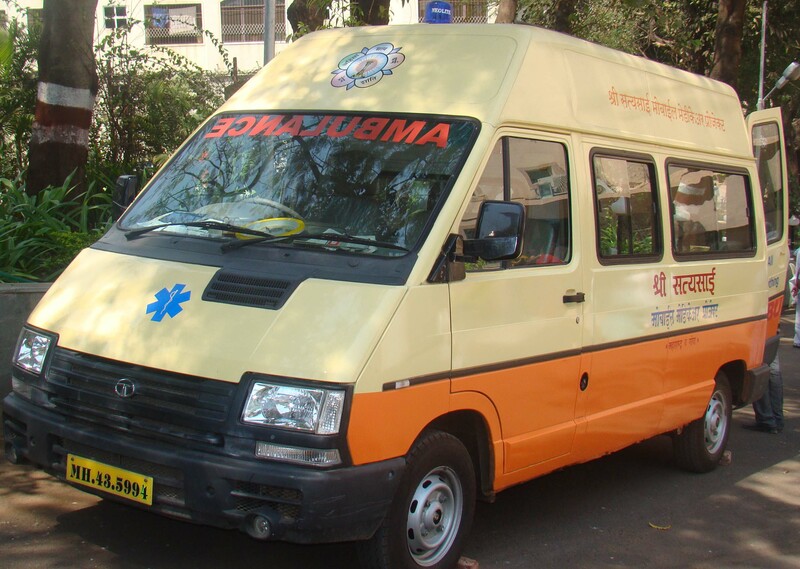 Today, a general check up and eye camp was held at Kondaidevi Welfare Society behind Kondaidevi Mandir Chikuwadi Malawani Church Marve Road Malad West today from 11 am to 5 pm. A total number of 202 patients were attended to by 2 doctors and 28 volunteers. We are delighted to share with you the YouTube video link of our previous Samarpan talk where Dr. T. Ravikumar Sir shared some of his choicest personal experiences with our Beloved Swami. It was a Divine Feast for the Heart laced with humour, wit and devotion. Experience the Divine Bliss and share the same with all. 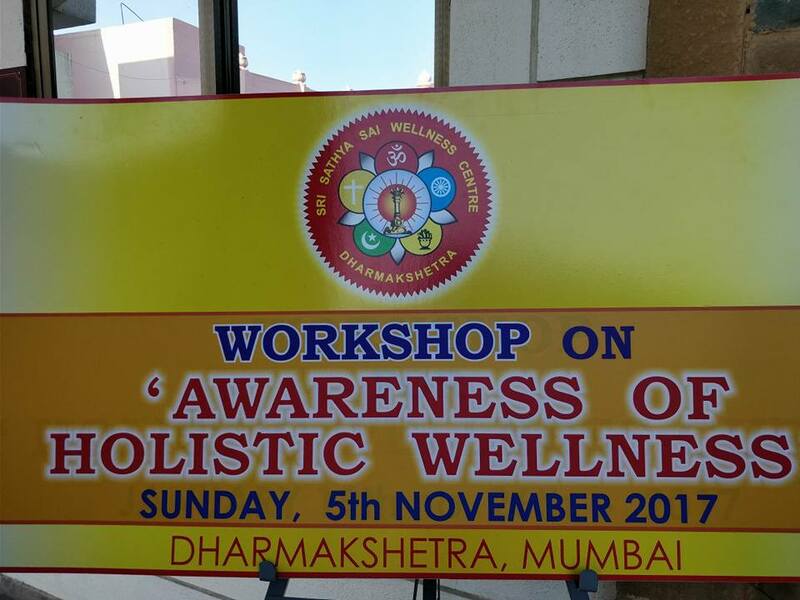 45 faculty members of Thakur College( YAP COLLEGE ) from Borivali Samiti attended the workshop on "Awareness of Holistic Wellness" at Dharmkshetra.on 5th November, 2017. 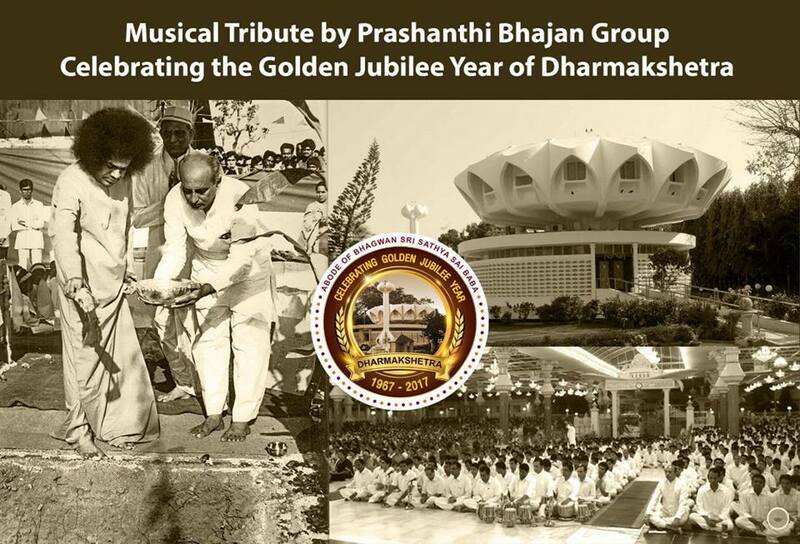 Excellent program by Prasanthi Bhajan Group as always....it was like Prasanthi Nilayam had come to Dharmakshetra! Seeing the lighting and other decorations at Dharmakshetra & Sathya Deep, it was like Deepawali & hence Swami has now arrived in Mumbai and we will be celebrating the longest Deepawali with Swami this time May 2018!! 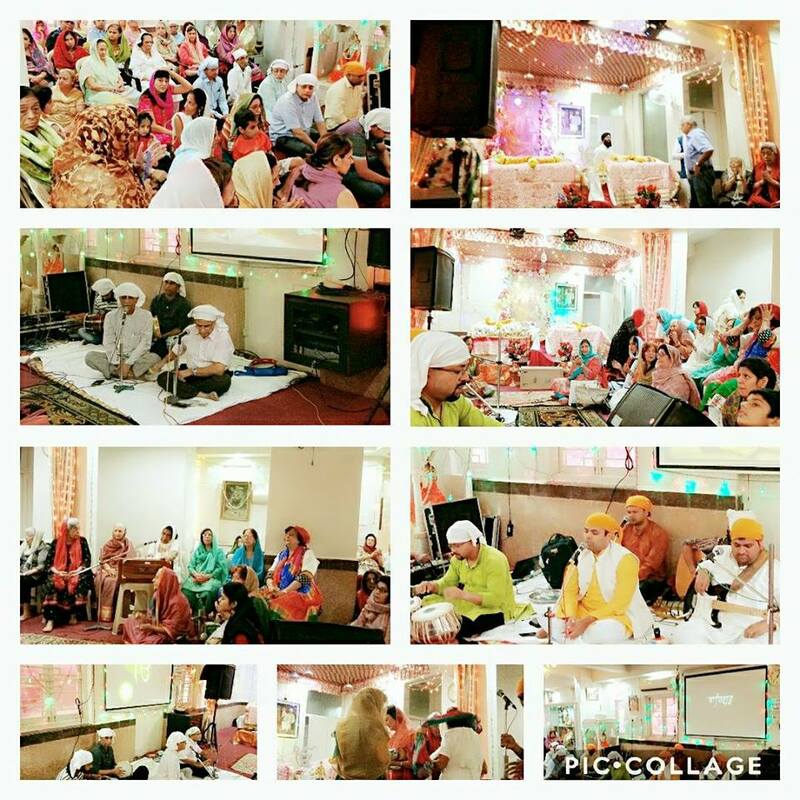 Guru Nanak Jayanti Celebrations - Bhajans by Fort Samithi at Baba Issardas Darbar, Colaba, on 4th November 2017. 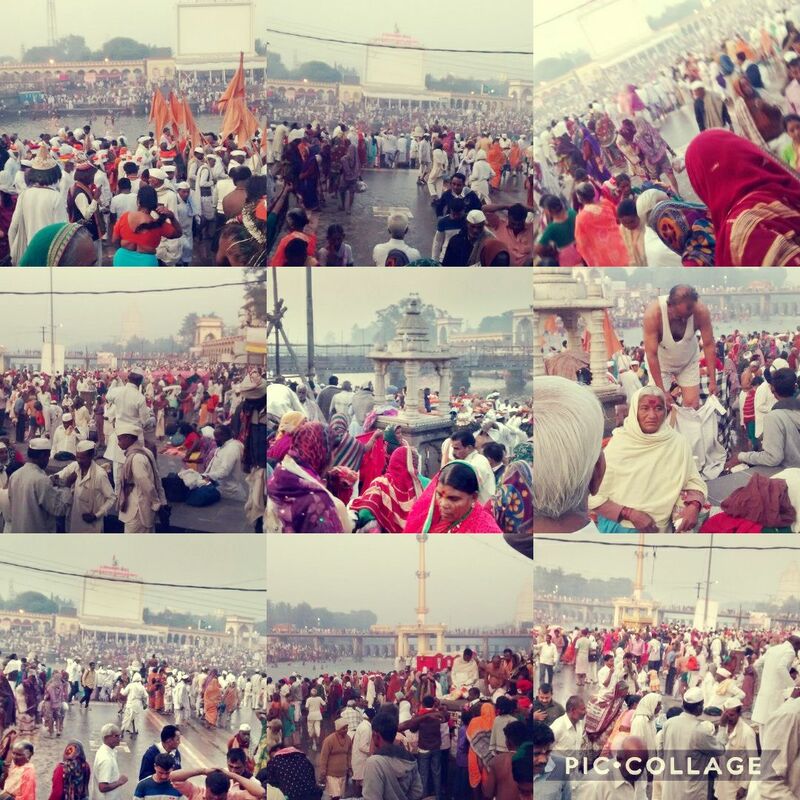 Guru Nanak Jayanti - Baba Issardas Darbar - 4th November 2017. Ekadesha Rudram chanting today at Bro. Hiranya Kamdar's house. 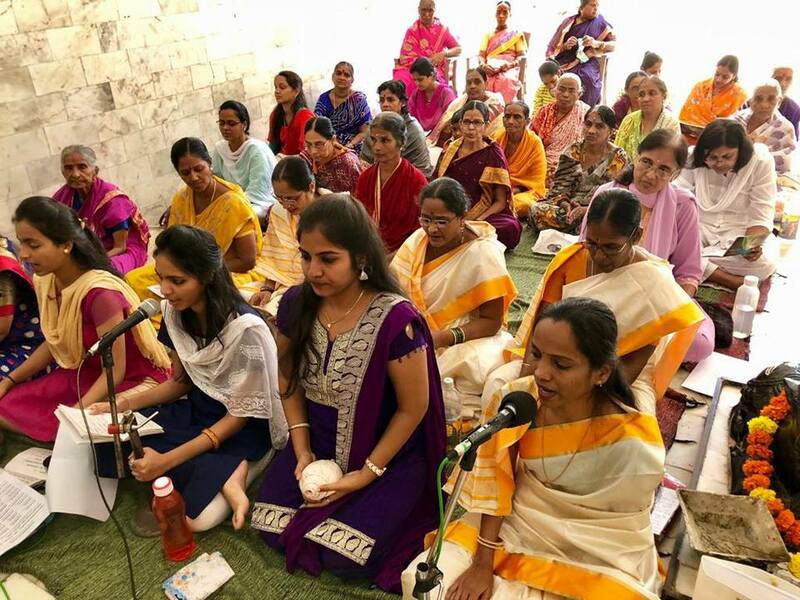 23 new photos added by Laxminarayana Yemula to the album Devotional Musical Program @ DK — in Mumbai, Maharashtra. I am sure that by now you would have received my recorded message on the Family Celebrations of our Beloved Bhagawan's Birthday Celebrations. Please take all efforts to reach the message to everyone in the Samithi area and motivate them with the bliss of family Celebration. 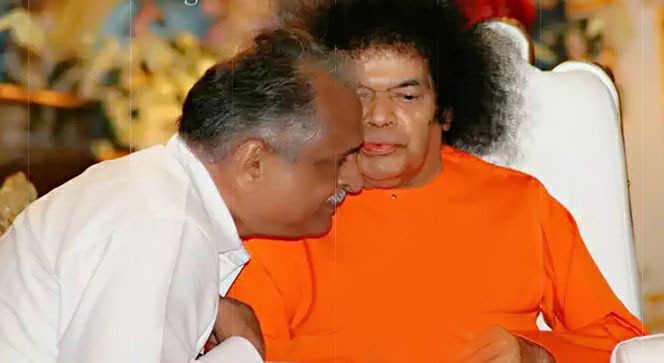 Bhagawan always stated that His relationship with every one is on a one to one basis. Bhagawan was very particular that families must live in harmony and unity. 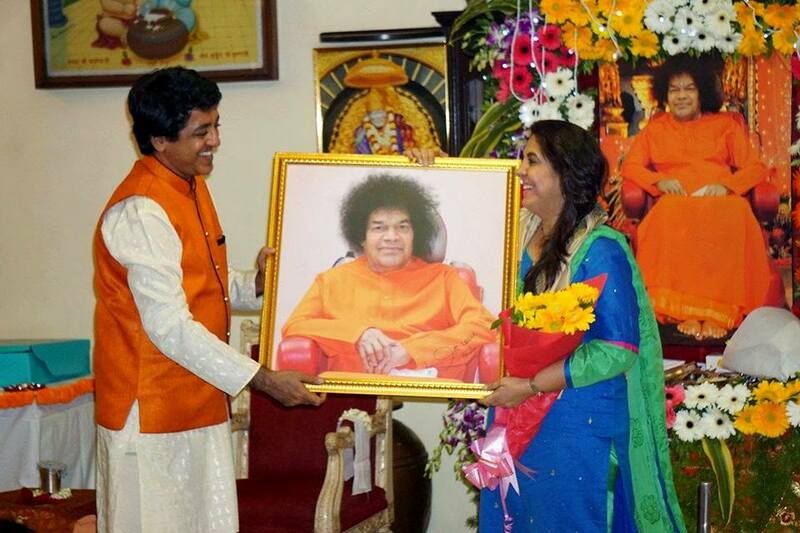 The feeling is of inviting Bhagawan home. 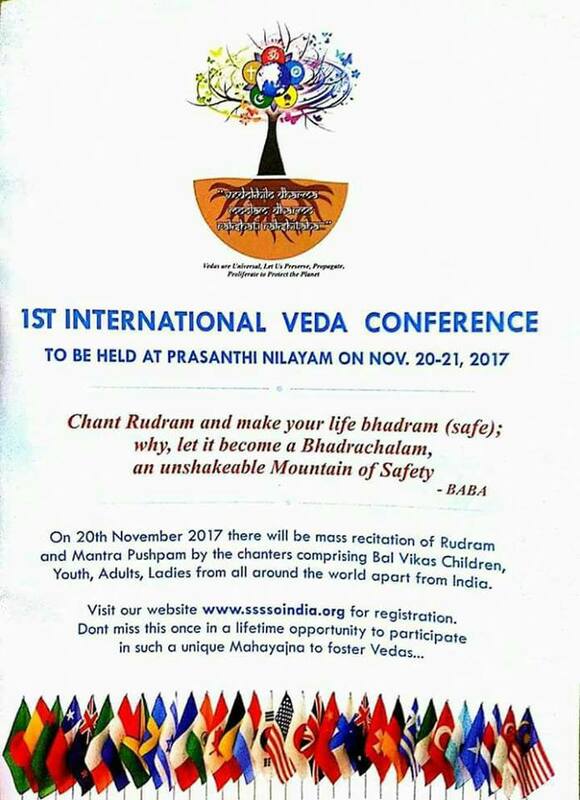 It is in this context that we want to urge every Sai Devotee family to ensure grand celebrations of Bhagawan in every home. 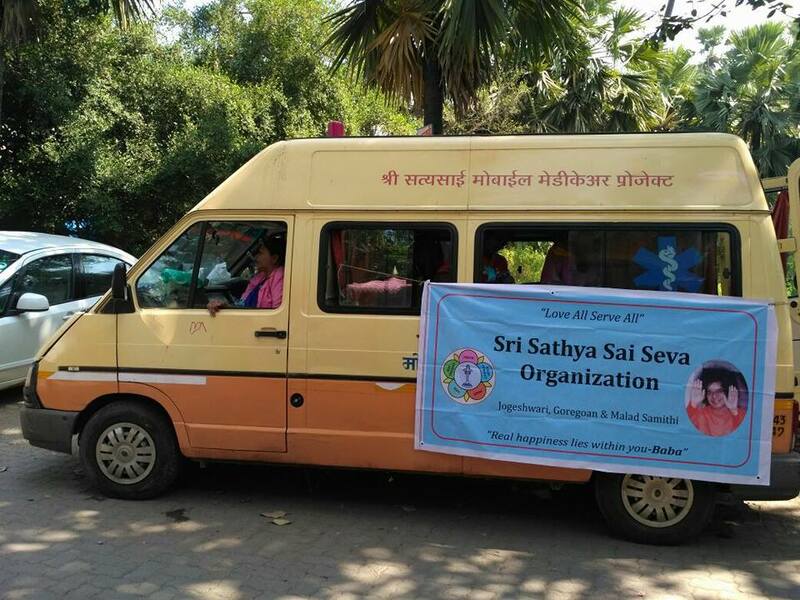 Needless to say that it does not matter that they may not be active as a part of the Sri Sathya Sai Seva Organisation. This celebration is for all mankind as it is a celebration of Unconditional Love and spiritual bliss irrespective of color caste creed and religion. I am sure it will be befitting that the celebration of Avataarhood of Sai becomes an integral part of every home. Let the homes be lit up with lights and colorful decorations. 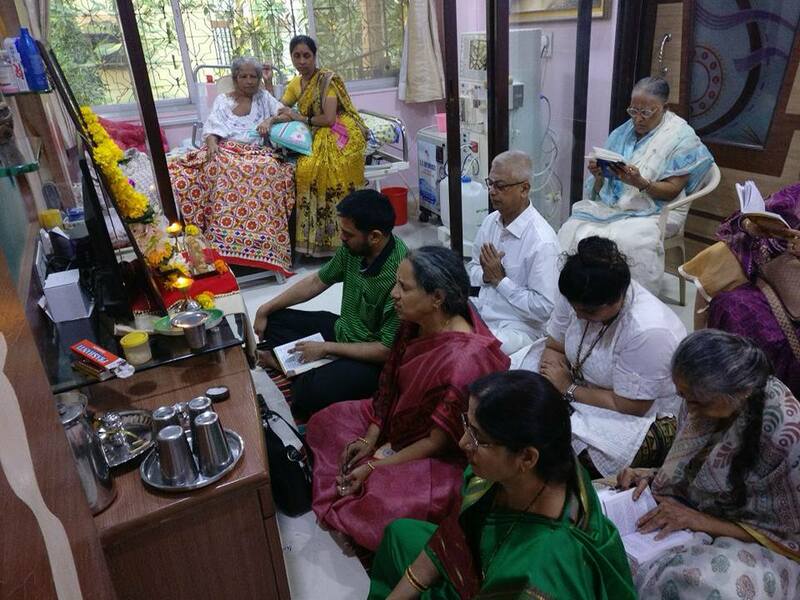 The family must ensure the coming together of all members, neighbours and friends and relatives singing bhajans at home. It will be great if the family and friends perform Narayan Seva ie. feed the poor and take up one activity at the family level of seva and experience the collective bliss of Swami's Presence. Time spent in meditation as a family and Satsangh will draw immense blessings of Swami upon the whole family. Family contemplation on a message of Swami could go a long way towards bonding between family members and friends. I sincerely request that these thoughts are penned by all of you in your respective local languages and be sent out in print to every home in your State District and Samithis. I request the Mahila leaders to ensure that all Sisters in India are made aware of this message in their regional languages.The State Presidents can record their messages on video in their own languages. Looking forward to your whole hearted efforts to ensure that this message reaches one and all and please do revert with your experiences after the celebrations. 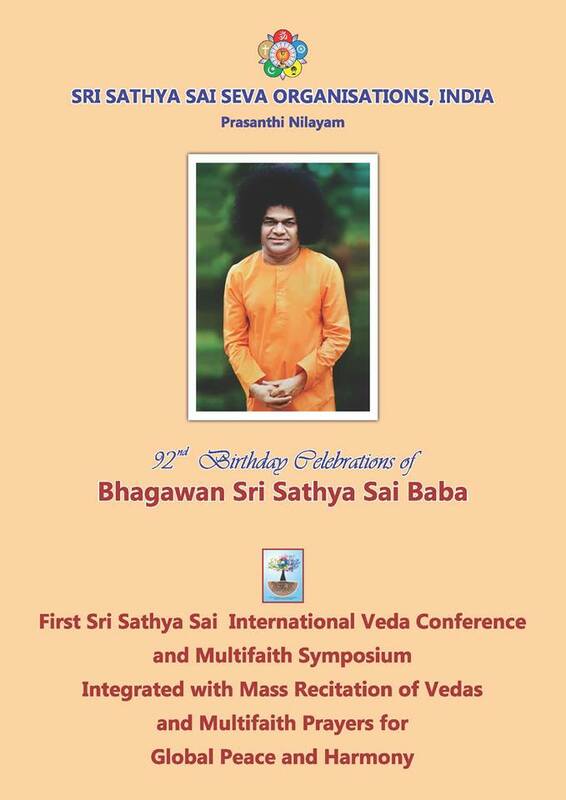 With the supreme grace and blessings of Bhagwan Baba, out of His compassion and mercy for mankind He has willed to have a two days Vedic conference in prasanthi Nilayam as part of His 92nd birthday celebrations. It will be held on November 20th and 21st 2017. 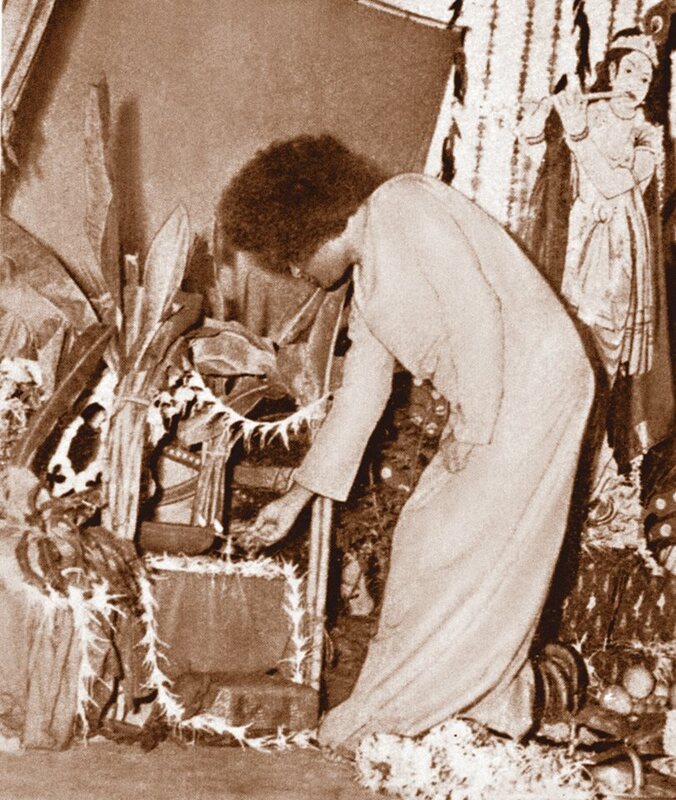 To show our gratitude to Him, for all that He has done for us, for Bhagawan who does not expect anything from us, we have decided an enmass chanting of Rudram, one para of chamakam and Mantrapushpam to be offered to Bhagwan as a birthday gift from His children. It will be a unique event to pray for the welfare of the entire creation in His presence. 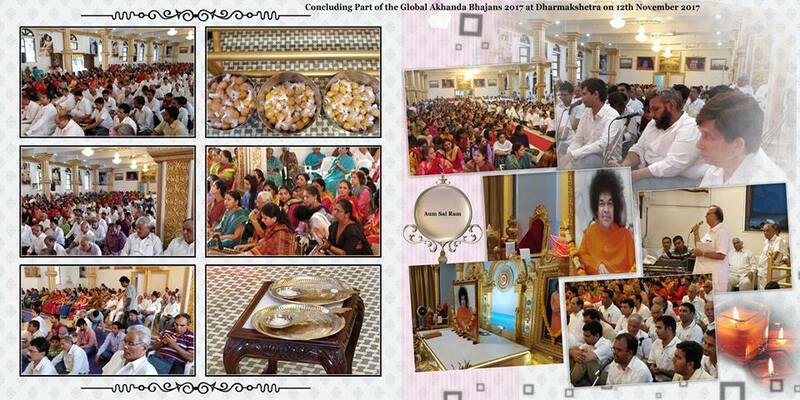 24 hours non-stop - Global Akhand Bhajan at Dharmakshetra - Saturday 11th November to Sunday 12th November 2017. 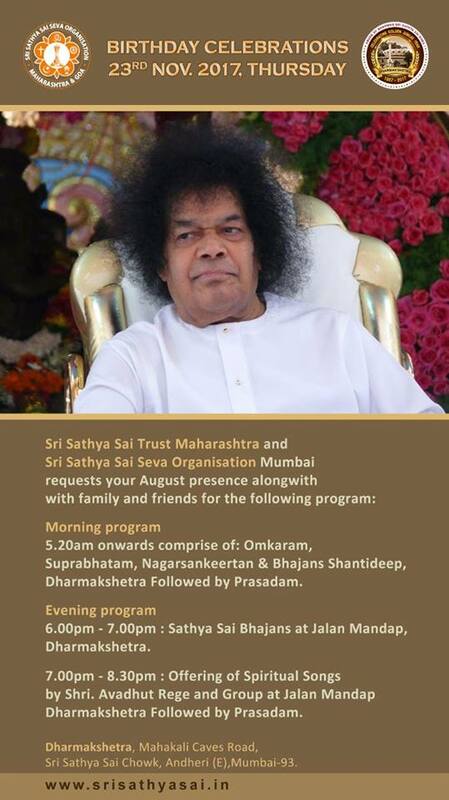 With the Grace and Blessings of Bhagwan Sri Sathya Sai Baba, SRI SATHYA SAI TRUST (MAHARASHTRA) & SRI SATHYA SAI SEVA ORGANISATION (MAHARASHTRA & GOA), cordially invites you with family and friends to participate in the Gayatri Havan (Homam), on Sunday, November 5, 2017, at 8.30 am, at Lokhit Kutir Hall, 16th Road, Khar (West), Mumbai. 1. Each experience should be of MAXIMUM 750 words. 3. You could also send in a video of not more than 2 minutes per experience. 4. The deadline for the same is December 23, 2017. 5. Please mention clearly the name, contact number and Samithi of the person whose experience it is. 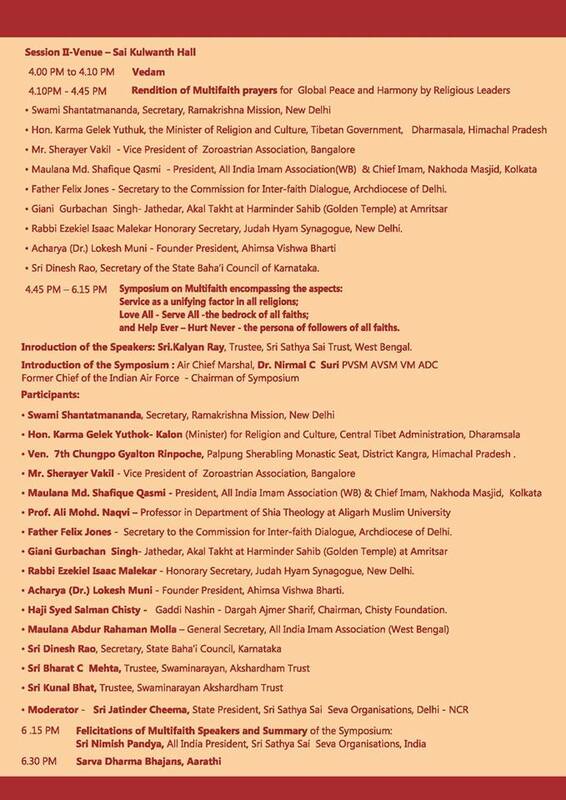 We are LIVE STREAMING tomorrow's mega event at Dharmakshetra from 6.15pm. His Divine Abode in the City of Mumbai, Maharashtra, Bharat. Later, He blessed the devotees with His Divine Darshan seating in the hill. 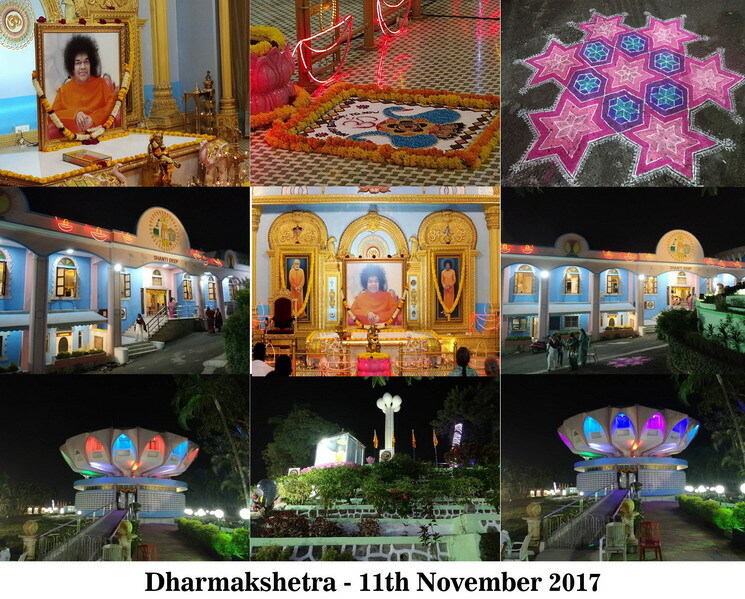 Golden Jubilee Year Celebrations of Dharmakshetra. All are cordially invited with family and friends for the upcoming event which includes the musical tribute by Prasanthi Bhajan Group. 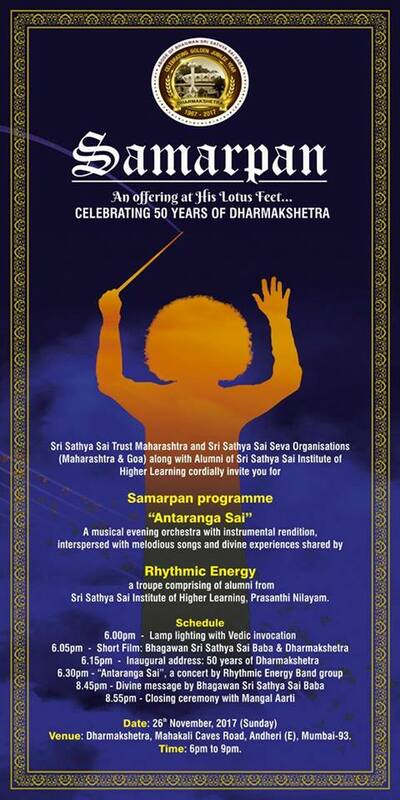 3rd Nov 2017, as you all know is the inauguration of the Golden jubilee celebrations of Dharmakshetra. 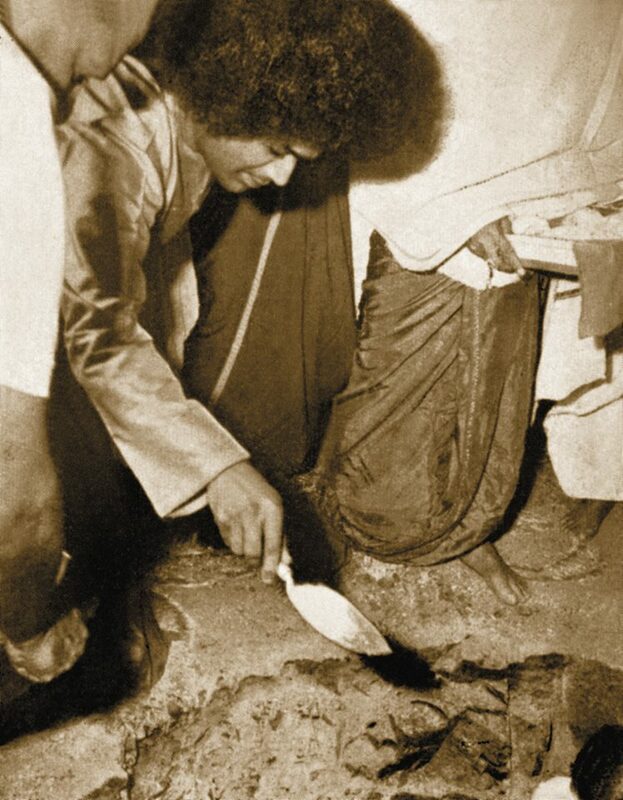 On this Day our Lord & Master Bhagawan Sri Sathya Sai Baba had laid the foundation of Dharmakshetra. The cream of Parthi Mandir Bhajan Singers are coming to Mumbai to sing on 3rd November 2017 on the occasion of the Dharmakshetra Foundation Day at 6 p.m. It is a rare opportunity to listen to all of them on one platform. This program will also be a learning experience for all the existing and upcoming singers. 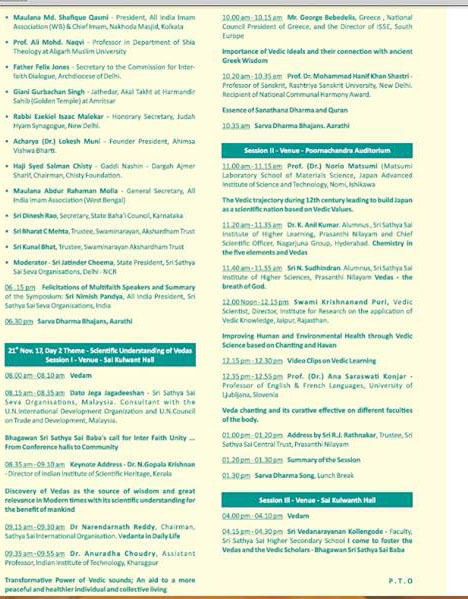 So we would insist that all singers from all units and especially the singers who sing in public bhajans - P, P + and Sp SHOULD attend this program, overcoming personal reasons like week day, travel distance and office. maybe you can take a half day off from your workplace. 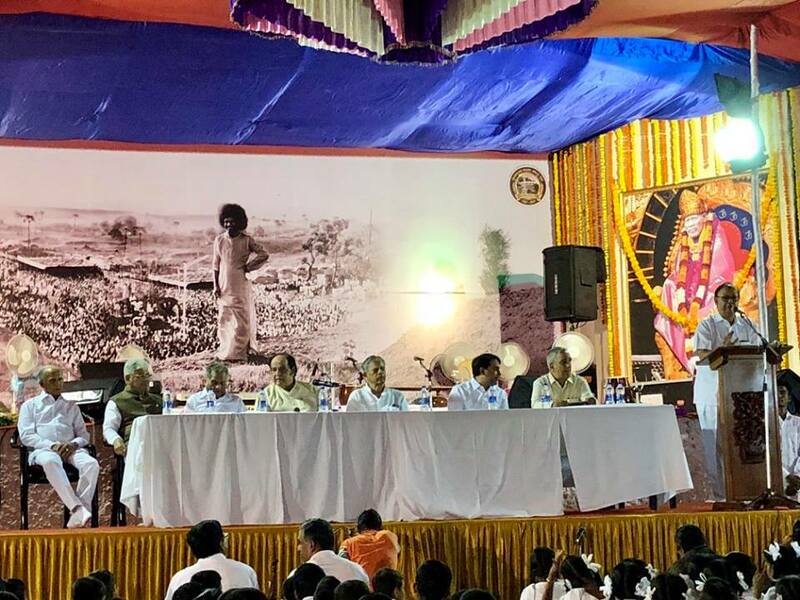 Golden Jubilee Celebrations of Dharmakshetra. 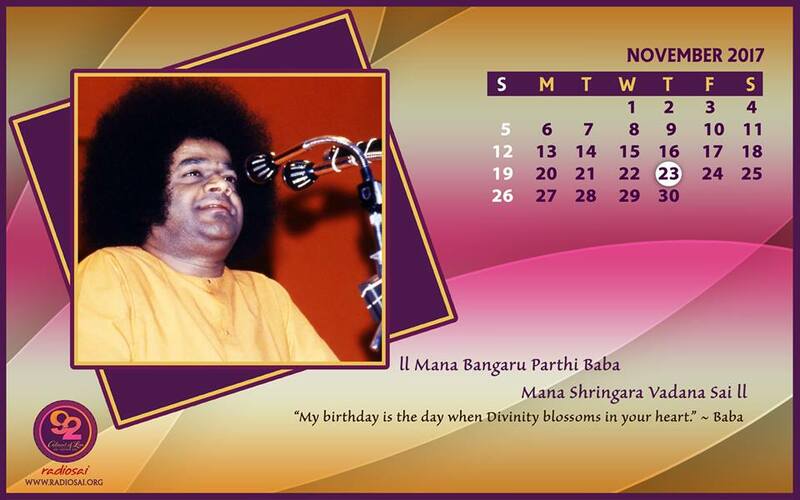 Wishing you all a Divine Sai New Year. 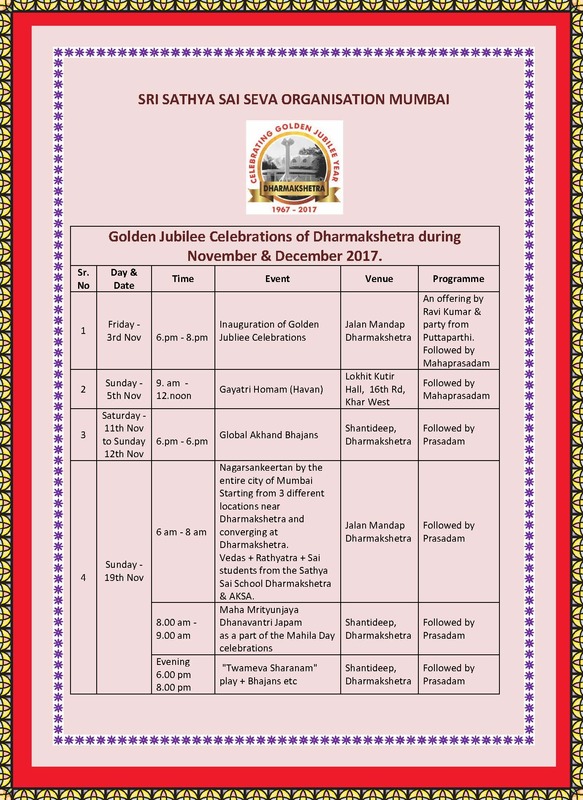 Given below is a synopsis of the programs planned during the months of November and December 2017 as a part of the Golden Jubilee Celebrations of Dharmakshetra. Please block the dates on your diary and inform all family and friends to participate in these events. Details of all events with program and timing etc will be subsequently circulated closer to the date of the event. May Swami bless us all in these celebrations of the 50th year of HIS Abode at Dharmakshetra. A list has been compiled by the Data Management Coordinator Ms Lata Gurnani and her team comprising of all office bearers & samithi activities for the Mumbai district. A soft copy of the list is enclosed herewith for your record, reference and active use.